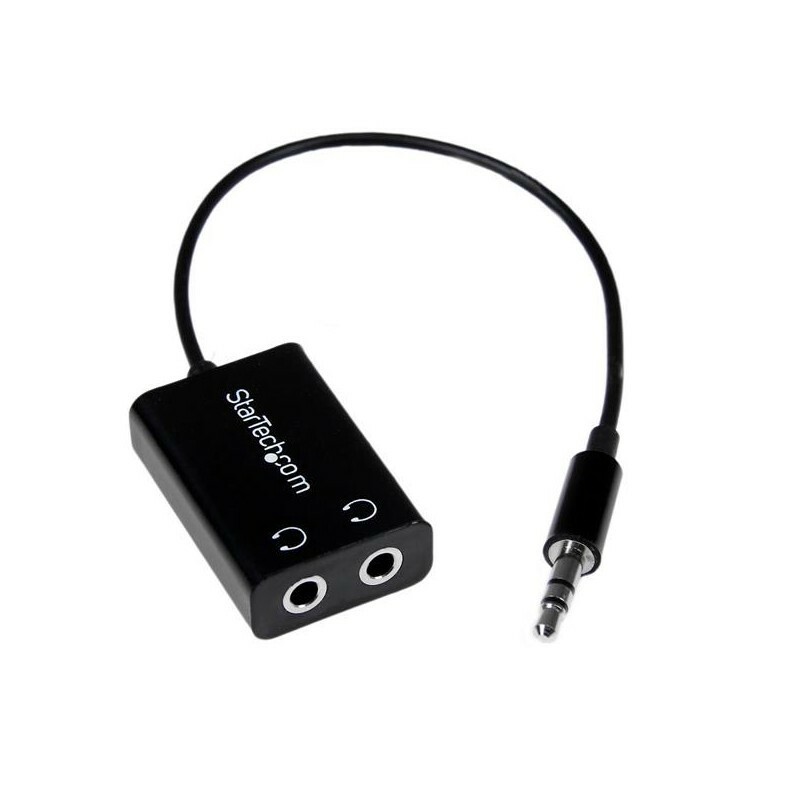 The MUY1MFFADP Black Slim Headphone Splitter Cable splits a single 3.5mm audio output into two separate outputs, enabling you to connect two sets of headphones or speakers to your MP3 player, Tablet PC or laptop computer. The Headphone Y-Cable allows you to share your favorite songs and/or videos with a friend while you are travelling or on the move and it features a slim connector molding that fits easily into a 3.5mm headphone jack, even if your mobile device is in a protective case. This splitter adapter is colored to suit black mobile devices, and can be used with any portable device that has a 3.5mm mini jack, such as your iPhone®, iPod® and iPad®. The cable features a compact, lightweight design that takes up very little space in your laptop bag or carrying case. 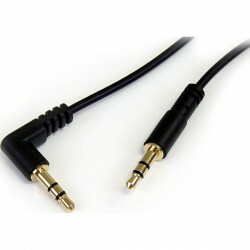 The MUY1MFFADP Black Headphone Splitter Cable is backed by StarTech.com's Lifetime warranty for guaranteed reliability.